Sears Holdings Corp. released a list Thursday of 79 Sears and Kmart locations that will be closed. Yankton is not on the list. The firm announced earlier this week that it would be shutting down 100 to 120 stores, so more closings will be released in the future. For now, at least, Yankton (and all of South Dakota and Nebraska, for that matter) is unscathed. Why Is Yankton’s Downtown Post Office Closing Despite Moratorium? A moratorium has been imposed on post office closures, so why is Yankton’s downtown post office closing in January anyway? It’s a question I’ve received since the announcement of its closure was made last week. Well, it comes down to a bit of a technicality regarding definitions. I asked USPS spokesman Peter Nowacki about why the closure will proceed — and it’s because it is not considered a closure by the USPS. The closing of Yankton’s downtown post office has attracted the attention of the website, “Save The Post Office,” which provides information about post office closings and consolidations that are taking place, the historic post office buildings that are being sold off, the efforts people are taking to protect their post offices and the things citizens can do to save their post office when it ends up on the closure list. More closings, moratorium or not: The Yankton Daily Press & Dakotan reports that the historic post office in Yankton, South Dakota, will close on Monday, January 23. Given that there’s a moratorium on closings until May 15, it’s not quite clear how that could be happening. The Postal Service has told the PRC that it would “take the final step of closing a Post Office prior to May 16, 2012, only when that Post Office was not in operation on, and the Final Determination was posted as of, December 12, 2011.” Since the Yankton post office is still in operation, shouldn’t it be included in the moratorium? The consolidation is expected to save the Postal Service about a $100,000 a year. The building is already for sale, and according to the Postal Service’s new real estate website, the asking price is $395,000. I had not heard the asking price is $395,000, so that’s an interesting piece of news. Nice work, Steve, and thanks for keeping an eye on Yankton. .com, became an essential resource for a network of grassroots groups in all fifty states defending local post offices—along with the idea that the founders were right when they argued that a strong postal service does not just deliver mail; it builds communities and links them as a nation. Best of all, Save the Post Office has made smart arguments for expanding the USPS by doing things like renewing the old postal banking system. ‘Red Dwarf’ To Return In 2012: Smegging Awesome! Growing up, I watched a lot of PBS. I remember occasions when my two brothers and I would watch “Sesame Street” three times in one day. There was also “Reading Rainbow,” “Square One” and “Star Hustler with Jack Horkheimer,” among many other programs. Well, right behind “Doctor Who” in the lifelong love department was “Red Dwarf.” It took me a while to catch on to it, but since I could watch it three times in one day due to the schedules of regional stations, I had plenty of opportunities to figure out how good it was. 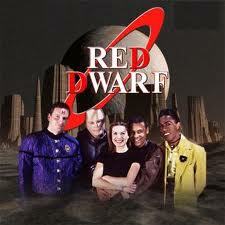 “Red Dwarf” was a combination of comedy and interesting science fiction ideas. Most important, it had a cast of characters that were compelling and had great chemistry. I apparently missed the announcement that “Red Dwarf” was starting up production again. I’m not quite sure how that happened. However, while checking on some show-related trivia last night, I came across news that they began shooting the tenth series Friday. What a great Christmas present for me!!! It’s a cold Friday night in December, on a studio lot in the grounds of an old manor house six miles or so south of Heathrow. Three hundred people are crammed into the rows of seating that line one wall of the warehouse-sized Studio K. They’re watching a man in a blue tunic with a letter “H” glued to his forehead bossing around another man with a rubber mask and a funny walk. And they’re laughing. A lot. This is so smegging awesome! The new episodes are set to begin airing in England in the fall of 2012. I can’t wait! I’ve been listening to this James Blake cover of Joni Mitchell’s “A Case of You” a lot lately. It’s such a tender song. And, with the fantastic Rebecca Hall in the video, it’s a really good combination. Tis The Season … Of The Killer Christmas Tree! At this time of year, many people have their favorite Christmas movies they like to revisit. But these days, I find myself returning to more serious fare. It’s a movie that reminds me of the sacrifices — the unwilling sacrifices — that have to be made in order for us to have the Christmas many believe we are entitled to have. Many of us don’t consider the troubling moral consequences of our annual Christmas tree roundup. This movie does that, and I feel like a better person for having tangled with this issue year after year, mano y mano. Warning, this short film — “Treevenge” — would be rated “R” if it had a rating. This is a bigger problem than you might think. Observe. And while we’re on the subject of “Doctor Who,” I would be remiss if I didn’t remind you that “The Doctor, The Widow And The Wardrobe” will be airing on BBC America at 8 p.m. Christmas Day. There is even a “Doctor Who” marathon all day leading up to the new Christmas special. My Christmas will not be complete until I watch the new Who with my loved ones, because I’m a geek like that. What’s Up With The Omaha Music Scene? Anyone who knows me knows that I make my share of trips to Omaha to see concerts. This year’s excursions included Blitzen Trapper, Girl Talk, the Maha Music Festival, Cold Cave/Austra, Mogwai and more. Well, I’ve been noticing a lot of bands I’d like to see announcing tours but not hitting Omaha of late. Is something going on that Omaha is no longer the draw for bands that it once was? I decided to go to my source on all matters concerning the Omaha music scene, Tim McMahan of the Lazy-i blog, to find out if my observation had any merit. Sure, the Lemonheads, Craig Finn (of the Hold Steady), Cass McCombs and Cursive are playing shows in the upcoming months. 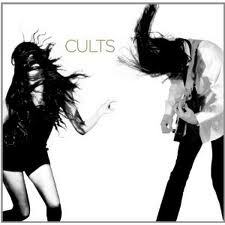 But I noted that the Cults are going to Kansas, the Magnetic Fields are going to Iowa, Zola Jesus is going to Iowa and Kansas, and M83 is going to Kansas. Why not Omaha? Tim responded to me via email last week, but on Wednesday he wrote a blog about my inquiry. I thought I’d share for anybody else who keeps track of the indie bands visiting our Nebraska neighbors. Thanks for sharing your thoughts, Tim! The only question is, why are these bands still willing to go to Lawrence, Kan., or Iowa during the winter months and skipping Omaha? Do the Omaha promoters not want them, or are the bands just not wanting to visit Big Red territory? We’ve known for some time that it would come to this. Well, the local postmaster sent out the following letter today outlining the consolidation of Yankton’s post office operations. Closure of the downtown facility will occur at the end of business hours Jan. 21. On Monday, Jan. 23, the Fox Run Annex will be the sole retail outlet operated by the USPS in Yankton. I’m perhaps most troubled by the fact that the last collection time for the drop-off boxes in the alley behind the downtown post office will occur at 3 p.m. I don’t know how many times I’ve forgotten to mail something until 5 p.m. and used those boxes to get it done at the last minute. The Yankton Post Office will be consolidated into one facility located at 506 W 25th St. effective Monday, January 23, 2012. The retail hours of operation will remain the same: Monday – Friday, 8:30 am – 5:00 pm, and Saturdays, 9:30 am – 12:00 pm (noon). All Post Office (PO) Box mail will be available for pick-up by 9:45 a.m. Monday-Saturday at the new location. PO Box customers will have access to their boxes 24 hours a day, seven days a week. Saturday, January 21, 2012 is the last day mail will be delivered to the PO Boxes at the current downtown location. We will place two new PO Box keys in your downtown PO Box. Take the new keys and leave the old keys in the box. You may begin picking up your PO Box mail at the new location beginning Monday, January 23, using the new keys. As a courtesy, the downtown Post Office will remain open on Monday, January 23 for any customer unable to retrieve their mail and new PO Box keys on Saturday. Any mail or keys not picked up by 5 PM on Monday at the downtown location will be transferred to the new location. Customers will then need to come to the retail window at the 25th St. location to collect any mail left at the downtown location and receive their new PO Box keys to retrieve mail from their new PO Box. The collection boxes located in the Alley behind the downtown location will remain. The last collection time will be changed to 3:00 p.m. Monday-Saturday. The collection boxes located in front of the downtown location will be removed. We look forward to seeing you at our new retail location and we thank you for your continued support of the Yankton Post Office. Should you have any questions or concerns, please do not hesitate to contact me at 605-665-2769 or 605-665-0626.